While Christmas is primarily a time of giving, and a time to get together with friends and family, it is also a very wasteful period. Statistics show that as a country, we can produce up to 30% more waste than usual – which includes million of Christmas puddings and hundreds of thousands of miles of wrapping paper. Much of the waste created over the festive period can be reused and recycled, although sadly this isn’t always the case so a large amount of it will end up in landfill. Fortunately there are so many ways you can minimise your own impact at Christmas, and hopefully inspire others to at the same time. We’ve put together a few tips on how to minimise waste this Christmas, let us know if you have any more that we’ve missed! One of the best things about Christmas decorations is that they last for years. If you feel like your baubles or other decorations are starting to look a bit dated you can use découpage for an easily updated look. Another great idea is to make your own decorations, like paper chains using brightly coloured card – and if you store them carefully they can be used year after year. Making your own paper decorations is a great way to spend time with your children, and to teach them the importance of creating your own rather than buying. When it comes to buying, try looking in charity shops first for some vintage decorations, or look for handmade and minimally packaged items to reduce waste. We’re all guilty of overindulging over the festive period, but that doesn’t mean we have to be wasteful. According to some statistics, approximately 2 million turkeys, 74 million mince pies and 17.2 million Brussels sprouts are thrown away every Christmas. The best way to tackle food waste is to only buy what you need and are going to use, which means less will get thrown away. Another great idea is to buy local. Get your veggies from local markets, or get them from organic delivery services to cut out on wasteful packaging that supermarkets tend to use. Don’t forget to take your reusable produce bags so you don’t need to use the plastic ones most shops tend to provide. Instead of buying mince pies and other festive food from supermarkets which come in endless amounts of disposable packaging, why not take a whack at making your own? 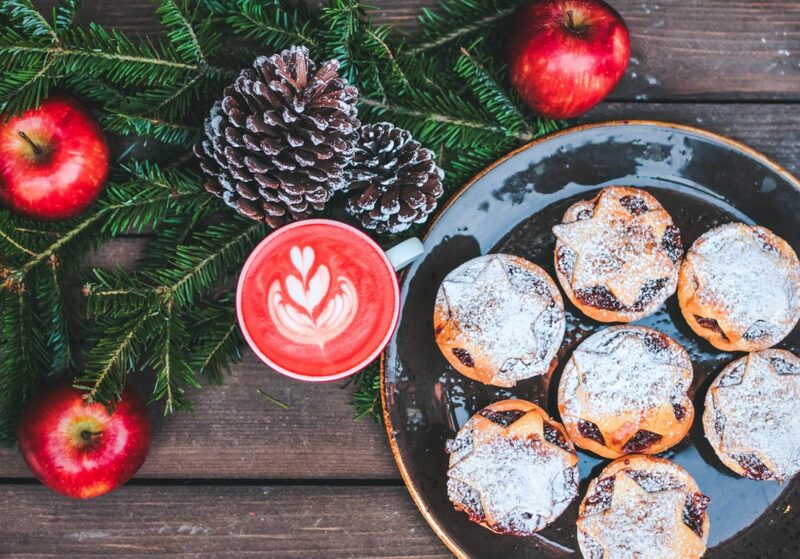 Something about making your own mince pies for your family and loved ones to enjoy makes them feel so much more special, and you could even give them as a gift! We’re probably all guilty of buying too much at Christmas, it can be so difficult not to get swept up in the hype! However, if you’re looking for minimal waste gifts, buying so many material things in plastic packaging just isn’t the way to go. One of the best waste-free gifts you can give is an experience. Buying tickets to a show or paying for a spa day would be a lovely way to show your loved ones how much you appreciate them. If you’re not entirely sure what to give someone, why not buy them a voucher for their favourite shop? That way they can choose exactly what they want. Another great gift idea is making your own. This can include food, beauty products and even clothes if you’re handy with a sewing machine. Taking the time to create something of your very own to give to a loved one as a gift really invokes the spirit of Christmas, and is guaranteed to go down a treat. Using recycled and easily recyclable wrapping paper is an excellent way to reduce waste this Christmas. 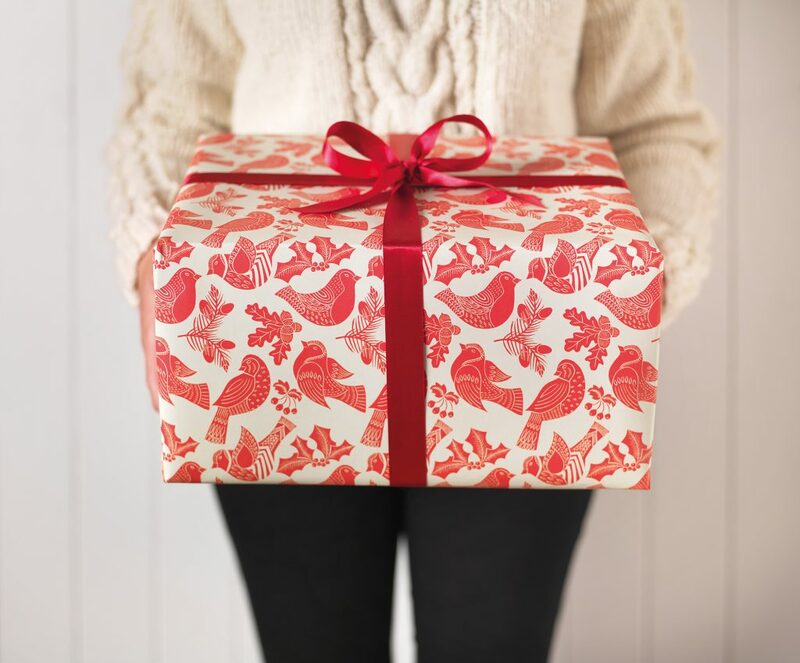 The production of recycled gift wrap uses less resource than non-recycled, making it a more environmentally friendly option. It’s important that you recycle your gift wrap after you’ve opened all your gifts on Christmas day, and encourage others to do the same, or it will just end up going to landfill. One sustainable tradition from other countries, such as Japan, is wrapping gifts in fabric, which can then be reused by the recipient rather than thrown away. We think this would be a great tradition for us to adopt here in the UK, it would make Christmas less wasteful for everyone. To get you started on using fabric wrap, we’ve started stocking reusable gift wrap from Wrag Wrap, which includes double sided fabric wrap, reusable bottle bags and a set that includes both! We’ve also seen some great ideas from our Instagram followers, like buying second hand square scarves from local charity shops and using those to wrap a bunch of small presents, knotting them on the top – that way the scarf acts as an extra present! Let us know your tips for a minimal waste Christmas in the comments below!